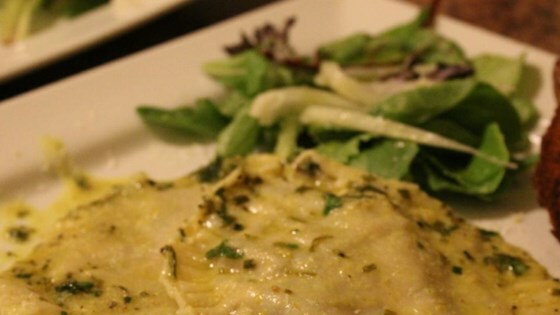 "This homemade ravioli is actually vegetarian, although no one who tries it can tell! The savory filling contains three different cheeses, mushrooms, and spinach. Although it's a rather time-consuming recipe to prepare, the results are well worth it!" When re-rolling the pasta scraps, it really helps to moisten both sides of the dough to avoid toughness. Absolutely love it! I skipped the mushrooms (hubby won't eat them) and I added chardonnay and lemon juice to the sauce. Came out perfect. I'm making more this weekend.